While decked out in Halloween costume celebrate at Colorado’s local bars, lounges, and restaurants! 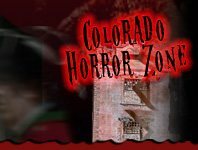 Take an adventure in Colorado’s Pub Crawls with participating venues set to Halloween-themed excitement to enjoy your favorite beer or cocktail. Have and afternoon and evening filled with great company, food, drinks and adventure!